There are several sites with instructions on how to deploy the Windows 10 GPO ADMX Files to 2008R2, but none seem to show you how to check if it worked. Here are the steps I used which are adapted from many sites below. Download the Windows 10 ADMX package. I downloaded the 1151 Version since this is the version of the ISO for Windows 10 I am installing on my workstations from the Microsoft Licensing Site. Extract the files with the downloaded file. It will default to a deeply nested location in Program Files (x86). Delete the language folders you do not need. Copy all the ADMX Files and language folders. 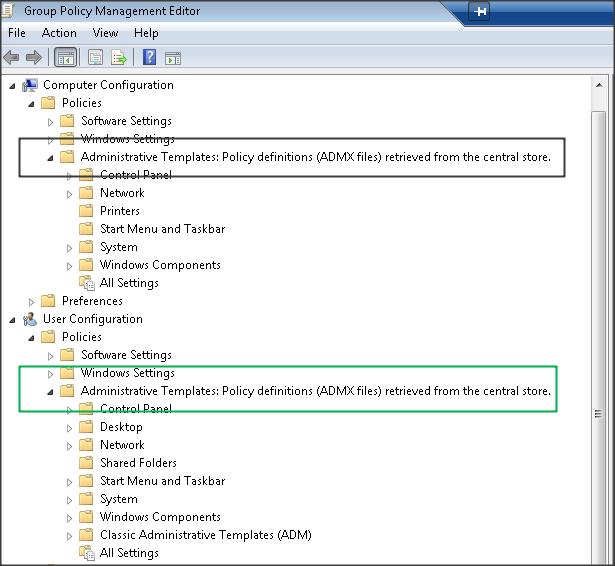 Launch Group Policy Manager and create a blank GPO or Edit an existing GP Object. Look to see if you see the text shown in the screenshots below. You should have your new GPOs available now to remove Cortana!